Cozy place to relax and distract alone or together. ♥ Several proposed “wearable” as a book, coffee, guitar, mobile phone and others. The complete set as seen in the photo has only 9 LI. This is an exclusive set for LOSTS & FOUND event. 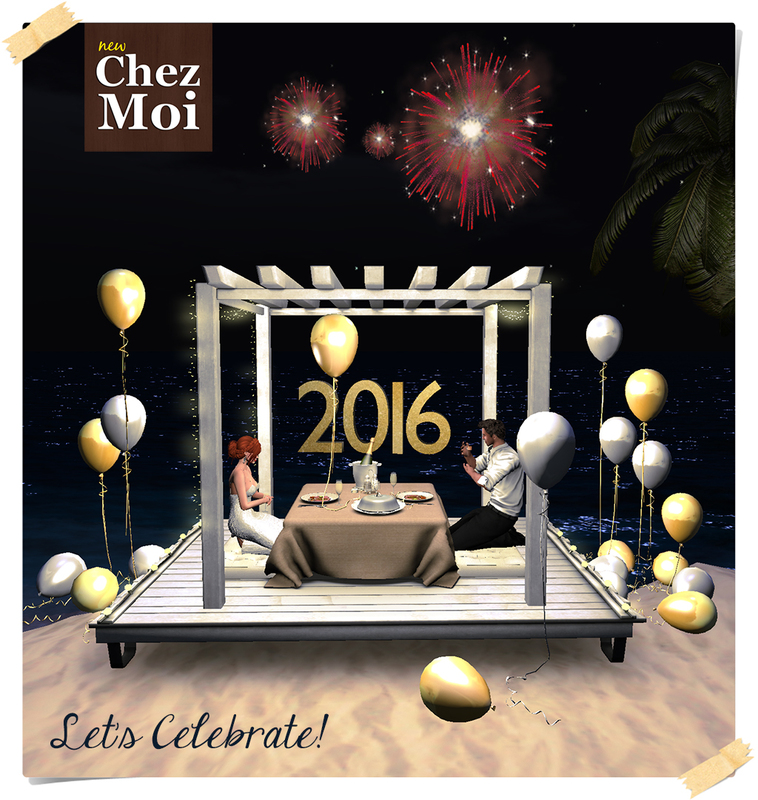 Let’s celebrate the New Year, celebrate birthdays, celebrate life this wonderful gazebo! Perfect for couples, this Gazebo has 70 poses in the PG version and 118 in the Adult version. PRESENT: Tap the 2016 gold to activate the fireworks and enjoy! 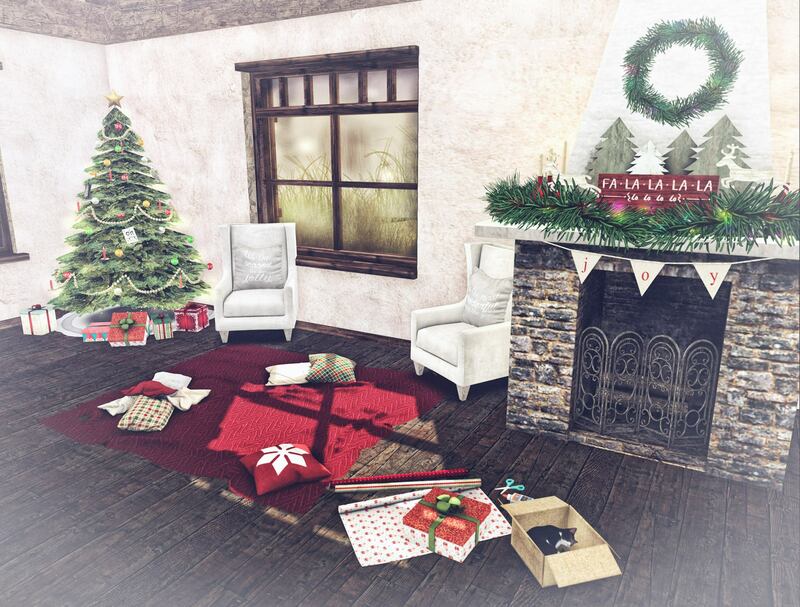 ♥ Wooden Gazebo: 24 LI – EXCLUSIVE FOR The Thrift Shop – Love and Hate Editon until 28th February . Have a great year of many achievements !!! For more informations CHEZ MOI MARKETPLACE, or for a closer look, visit our MAINSTORE INWORLD. This warm and welcoming kitchen is perfect to accommodate your entire family and guests, after all are these moments that make everyday to feel extraordinary. The Shabby Full Kitchen has room for more than 13 people, the tastier place in the house. 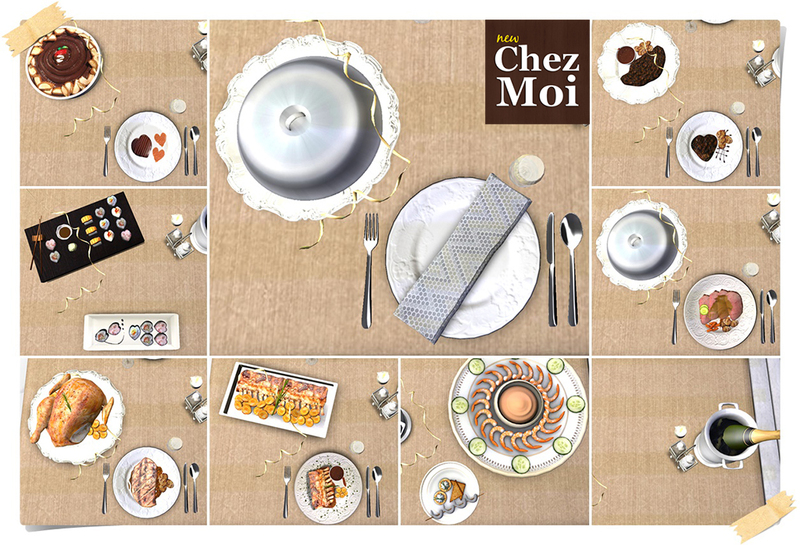 ♥ 23 animations, including cutting potatoes and fruit, sandwich making, whisking cake batter, hand washing, eating, scrubbing the floor, relaxing, chatting, etc. ♥ 12 animations such as washing dishes, sweeping, scrubbing floors, chatting, reading recipe, among others. ♥ Texture-change options: You can choose the color of rug by menu. 5 options available. Touch the stove to access the menu with the following options from the oven and discover the delights being prepared. 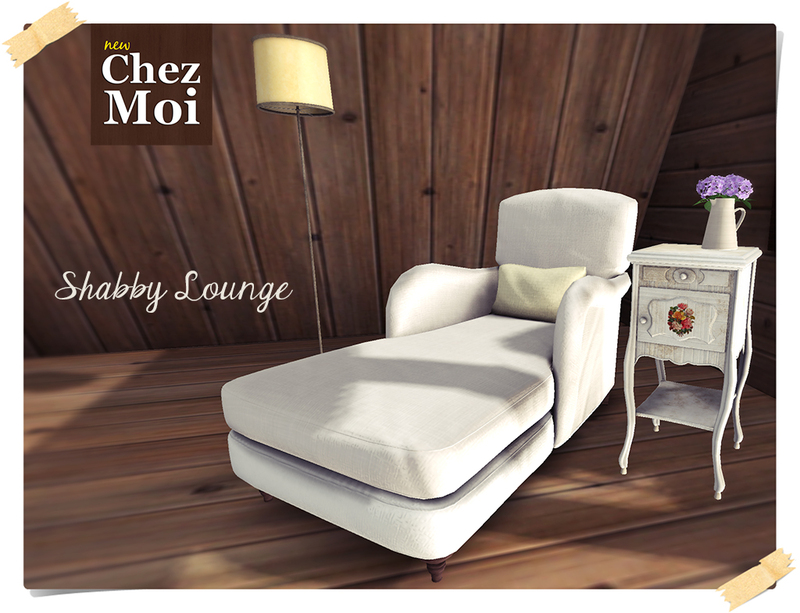 Check more information at CHEZ MOI MARKETPLACE, or for a closer look, visit our MAINSTORE INWORLD.